This is the one you can't miss. Perfect for festivals, surf trips, camping trips and outdoor adventures around Byron Bay. Queen bed and linens. Fully equipped for camping. Luxe VW van, easy to drive, fuel efficient, automatic, long wheelbase, mid-roof van with plenty of room inside, tinted windows for privacy. 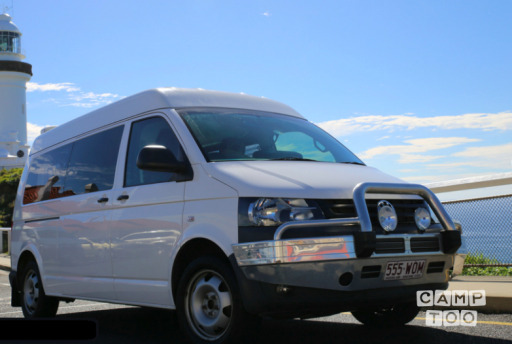 Immaculately clean and equipped with everything you need, ready for adventure. Gas cookers, table and chairs, camping and picnic needs. A fridge is available if needed. Inside the van is a queen bed with a real mattress, quality linen, goose down doona, extra blanket and mosquito net curtains. Beach and bath towels are provided.